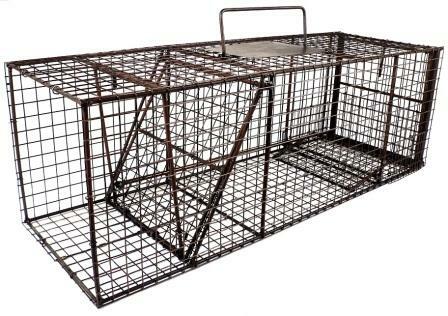 DS100 Model DS100 is a heavy duty trap for raccoons and similar size animals. This trap sets by simply lifting the door into the upright position. It works great for animals that burrow into trees and buildings.